Before we go ahead and get the knowledge of Mongo DB, let’s take a look at the database first. As far as computers are concerned, a database is just a storage of data. It collects and stores the data entered by the user. Database organizes all the data so nicely that when you want it, you will get it within no time. Let’s understand it by an example. Suppose you would have hundreds of thousands of files stored on the computer named a,b,c,d,e,f,g,h,i…so on. Now when you would want to open it, there will be a possibility that you might get confused which file to open? This method of storing and retrieving the file from computer is old fashioned of course but still numerous file with same extension will make you confused. What is MongoDB? All you want to know about it. MongoDb is free. MongoDB is open-source programme. It is document oriented and cross platform database programme. No SQL is used in the processing of this database because the old fashioned table based relational database structure is not used in MongoDB. MongoDB supports JSON like documentation which makes the integration of data easier and quicker. MongoDB provides easy scalability and high availability. It works on collecting the data and proper documentation. Collection is like grouping in MongoDb’s documentation. It is more like RDBMS table and exists within the same database. Documents can have different fields. Document is a set of some useful keys. There are some terminologies given below that are used in RDBMS and MongoDB. MongoDB supports access to ad hoc queries. You can search collection, field and Range query. It also provides search for regular expressions. Indexing of any field is possible in MongoDB. Master Slave applications in MongoDB save the database from the replication of data. MongoDB is portable that means it can run over multiple platforms. It supports the data duplication in case of server failure. Data Sharding in MongoDb automatically configures load balancing. It is written in C++ and doesn’t support schema. Easy storage of files with any size. Administrations and configuration are easy in case of system failure. Relational database stores data which is well fashioned but what about the random data or information like customer’s past purchase, different addresses, facebook like data. MongoDB allows you to add these type of random data without even defining their types. 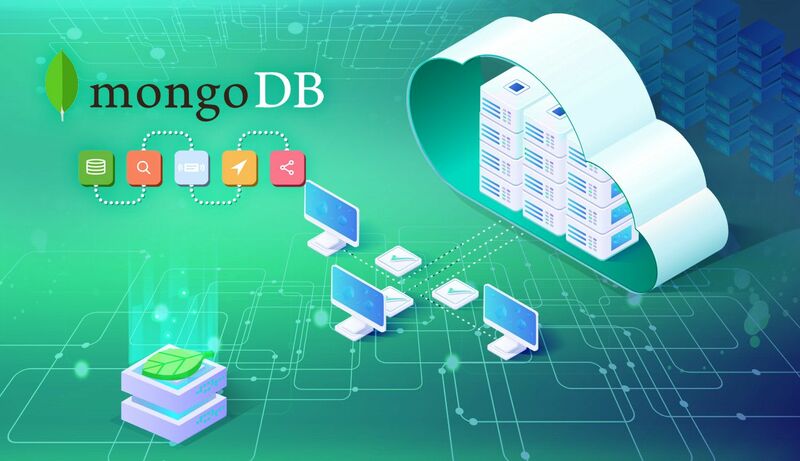 Because of MongoDB’ availability and flexibility in cloud based environment, you can load a very high volume data with built in sharding solution which partitions your data and easily spread across multiple servers. You can try and learn new thing very fast with MongoDb’s dynamic schema. Incorporation anything into MongoDB is fast and less costly. MongoDB makes it easy for you to gather the location based data without complicated processes. Millions of connected devices creating data on the internet regularly and it is a challenge to extract and transform them but MongoDB can do it within the single database. MongoDB can store much different kind of data from anywhere that is needed to power the CMS based site. This data includes tweets, comments, multimedia messages and more. Being able to handle the unstructured data MongoDB is an ideal pairing device for the mobile application development. MongoDB can give you real time analysis of your customer which helps you to provide him much needed personalized experience. MongoDB is very cost effective. If you are micro and small size company then you should prefer MongoDB for the storage because it is easier to manage and set up. MongoDB’s power packed search engine will let you know from where the data is coming. Pros and Cons of MongoDB. If you have the large amount of data and want to share them across multiple servers for load balancing then MongoDB is way better than relational databases. MongoDB’s search queries are faster because they have to interpret into a single server for the access. MongoDB provides flexibility which means when you have unstructured data to store then you should go for MongoDB because it offers much simpler way to store them. There is no possibility of join in MongoDB which means whenever you need to use this functionality then you have to make it manually which results in an ugly and long coding. Memory usage is very high in MongoDB because it has to store the key for each and every document due to possibility of the inconsistent data. When you start using one functionality then MongoDB locks up the entire database thus resulting into concurrency issue. You have to enter manually to ensure the particular operation is a transaction because MongoDB doesn’t do it automatically. Here you can see the list of cons is bit longer and this does not mean you should never use MongoDB. It is still in the development phase. Developers must keep in mind when to use MongoDB because it is not the replacement of any relational database. MongoDB is free. MongoDB is an open-source programme. It is document oriented and cross-platform database programme. No SQL is used in the processing of this database because the old-fashioned table-based relational database structure is not used in MongoDB. MongoDB supports JSON like documentation which makes the integration of data easier and quicker. MongoDB provides easy scalability and high availability. It works on collecting the data and proper documentation.